Are you using any of these 100,000 worst passwords for cybersecurity? How much home can these Millennial families afford in these top cities? Craft beer breweries are drying up in the UK Trial date set for Elizabeth Holmes regarding Theranos charges Working out is great, but doing it this way might make you live longer Craft beer breweries are drying up in the UK Researchers devise new deadline trick: decide which deadlines are actually important Are you using any of these 100,000 worst passwords for cybersecurity? This is exactly how long your subject line should be if you want to get a response Why you need to ask these 7 questions to test soft skills during a job interview Over 50 and looking for a new job? Avoid these 8 resume mistakes Why transparency and strong internal communication are what really help employees thrive Researchers devise new deadline trick: decide which deadlines are actually important Children are ingesting this dangerous object more and more every year Craft beer breweries are drying up in the UK Are you using any of these 100,000 worst passwords for cybersecurity? H2O.ai is the company behind H2O, the premier open-source machine learning platform that is transforming how enterprise AI applications are built. H2O is a distributed machine learning platform designed for big data with APIs are available in R, Python, Scala, Java and REST/JSON. With H2O, data scientists can take sophisticated models all the way to production using the same user-friendly platform that they use for modeling. Our customers have built mission critical applications across all industries including healthcare, insurance, finance, telecommunications and retail. 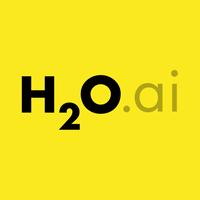 The H2O.ai team is a mix of software, machine learning, and data science experts working together with the open source community to build H2O. We are looking for high-energy and driven account executives to help promote H2O.ai and close big deals. Successful candidates will have a proven ability to execute with seven or more years of enterprise software sales focused on enterprise big data, analytics, and/or data science software products. Ability to navigate and thrive in a fast-paced startup environment is critical. Specific vertical expertise in financial services, insurance, and/or healthcare is helpful, as is a knowledge of open source software business models. As an Enterprise Account Executive at H2O.ai, you are skilled at navigating the customer buying process, conveying value and compressing the sales cycle. You bring a passion for innovation and translating complex technology into a high-ROI business outcome. You are skilled at qualifying opportunities, managing your time and that of your team wisely, and staying focused on the goal. Minimum of 5+ years field sales experience within big data, analytics, and/or data science tools and technologies in large enterprise accounts. Strong existing network in large enterprise accounts in your territory. Proven track record of revenue overachievement, hunger to win. Team player that knows how and when to enlist internal resources to ensure the desired outcome. Modern office in Mountain View, CA with floor-to-ceiling windows & natural light. Lunch and dinner catered every day. Flexible work hours and unlimited time off.